During recent structural works, new discoveries have been made! Heritage Malta would like to offer the general public the opportunity to witness first hand excavations being carried out at St Paul’s Catacombs in Rabat. During this event, the site curator together with site archaeologists, will describe the process involved in the excavation process and their works on site. Due to the limited space available, only a small group will be allowed on site and therefore, early booking is recommended. Ticket prices: Adults at 10 Euro / Children under 12 at 5 Euro. Tickets available from all HM sites/museums. A free publication will be given to each participant. Meeting point outside St. Paul’s Catacombs, Rabat, at 9.00am. For further assistance please call HM on 23954000 and 23954242. An exhibition hosted by the Malta Maritime Museum from Saturday 29th November till Friday 19th December. Michael Stroud was the Curator of the Palace Armoury who sadly passed away last year. His colleagues, friends and family have set up the exhibition ‘Mike’s Artistic Journey’ to commemorate Michael and his life’s work. Open Daily: 09.00 – 17.00hrs (last admission at 16.30hrs). Visit the Malta Maritime Museum and the Inquisitor’s Place at the reduced admission fee of just 2 Euro. The Inquisitor’s Palace is currently hosted the exhibition ‘The Roman Inquisition in Malta’. The Malta Maritime Museum is hosting the exhibition ‘Mike’s Artistic Journey’. 17 Heritage Malta sites and museums will be open for FREE on Republic Day. These are: St. Paul’s Catacombs, the Domvs Romana (Rabat), the National Museum of Natural History (Mdina), the National Museum of Fine Arts, the National Museum of Archaeology (Valletta), the Malta Maritime Museum, the Inquisitor’s Palace (Vittoriosa), Għar Dalam (Birżebbuġa), Ħaġar Qim and Mnajdra Temples (Qrendi) and Tarxien Temples (Tarxien) in Malta and the Gozo Museum of Archaeology, the Folklore Museum, the Gozo Nature Museum, the Old Prison (Citadel, Victoria), Ta’ Kola Windmill and Ġgantija Temples (Xagħra) in Gozo. Click here for a list of HM museums and sites. 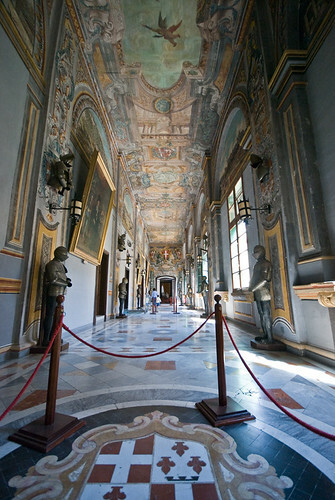 HM Members are invited to the Inquisitor’s Palace for a tour, with Senior Curator Kenneth Cassar, of the exhibition The Roman Inquisition in Malta. Discover the politics and power exerted in Malta under the Roman Inquisition between the years 1561 – 1798. Refreshments will be offered after the tour. Tour commences at 19.00hrs. Opportunity to Christmas shop at the HM gift shop which will be open throughout the evening. Members receive a 10% discount on all purchases, and there will also be a 10% discount on memberships. All purchases help support the work of Heritage Malta. This event is free. Limited Numbers. In order to book please click here. Are you following a history, art history or a visual arts course? Do you have an assignment or long essay and are not sure where you can find the works of art that you are looking for? Then this is a session you absolutely cannot miss! The proposed date is indicative and can shift according to University, MCAST or course timetable for those who would like to attend. Time TBA. Follow this event on NMFA Facebook. Wednesday 10th December is “Libraries Day”. The main focus this year is the key role libraries play to promote and foster literacy and reading, thereby enabling individuals to develop their knowledge and potential to achieve their goals. Heritage Malta will be participating by offering the public the opportunity to visit its paper (books) conservation laboratory between 10.00am and noon and attend a demonstration on the laborious process involved. Participants are encouraged to bring any artefacts for inspection and advice. The limited number of tickets will be made available on first come first served basis. A nominal fee of €10 applies. The price includes a coffee break and a complimentary copy of the Atlas “Merchants routes and trade cities in the Mediterranean” (460 pp). To reserve a place one may call on 23954242. All aboard for the AGM of the Friends of the Malta Maritime Museum, the oldest Museum affiliated group in Malta. Liam Gauci, the curator of the Malta Maritime Museum will entertain us with tales of the exploits of the corsair and patriot, Gugliemo Lorenzi. For decades Lorenzi operated from Malta and at the height of his career had the financial power to build and commission a 54 gun ship. A life carved on the decks of Corsair ships, it was brought to an abrupt end in 1799 when Lorenzi was shot alongside Dun Mikiel Xerri by the French for his part in a planned revolt. AGM starts at 9.30hrs followed by the lecture. Taħdita minn Olvin Vella b’rabta mal-wirja temporanja ‘L-Inkwiżizzjoni Rumana f’Malta’. Fil-Palazz tal-Inkwiżitur (il-Birgu) nhar il-Ħamis 27 ta’ Novembru, fis-sebgħa ta’ filgħaxija. Għal aktar informazzjoni ċempel fuq 2166 3731. Heritage Malta will be offering a tour for HM Members of Ta’ Mintna Catacombs in Mqabba. Ta’ Mintna Catacombs are a cluster of three small catacombs used between the 4th and 8th centuries AD. They would have originally fallen well outside of the main Roman city of Melite but their extensive decorations and particularly well preserved features place them among the most important catacombs outside of the Rabat area. This site is generally closed to the general public. Please note that only a small number of people can enter this site at a time. Two tours are being organized: in English: 09:30am; in Maltese: 9:00am. This tour is free. For tickets please email: marcia.grima@gov.mt quoting your membership number. At the Mediterranean Conference Centre (MCC), Valletta. Numerous number of publications will be available from Heritage Malta’s stand, including out of print catalogues of previous Maltese Artists exhibitions. Free Books and Museums Tickets. For further information call HM on 2295 4000. At the Malta Maritime Museum, Birgu. A collective exhibition organized by Fondazzjoni Celebrazzjonijiet Nazzjonali, Arts Council Malta and in collaboration with the Valletta 2018 Foundation. Curated by Fabrizio Mifsud Soler, the theme of a homophone interweaves the concepts relating to roots/ the past/ identity, with the concepts of routes/ the future/ development. An exhibition of paintings by renowned historical marine artist, Thomas J. Burnell. Also, on exhibit, will be the artist’s recent donation to the Malta Maritime Museum of the painting, ‘The Santa Marija Convoy’. You will be able to view the artist at work during the exhibition. For more information please call on 21660052. Open Daily: 09.00-17.00hrs (last entry 16.30hrs). The streets of Vittoriosa are not only rich in history but along the years have also been the location for a number of mysteries and dark tales ranging from murders and ghostly apparitions. Participants will be taken on an animated tour of these dark tales which are guaranteed to send chills down one’s spine. The tour will be followed by light refreshments at the Inquisitor’s Palace, an animated tour of the palace and finally a special preview of an episode of popular TV programme L-Oskur following a ghost hunt held at the Inquisitor’s Palace. The price for the event is €20 for adults and €18 for Heritage Malta members, seniors and students. Adults only. For more information one can call on 23954242. This is the subject of a day seminar jointly organised by Heritage Malta and the Spanish Embassy in Malta. The seminar will be held at the Aula Magna, Old University building, Valletta on Thursday 6 November, 2014. With the collaboration of Museo Nacional del Prado (Madrid), the History of Art Department of the University of Valencia, the Institute for Baroque Studies and the Department of Spanish and Latin America Studies at the University of Malta. Participation is free on registration. At the Old Prisons, Citadel, Gozo. If you missed this fascinating exhibition at the Malta Maritime Museum, you can now view it at the Old Prisons in Gozo. The exhibition includes salvaged original graffiti, as well as casts of ship graffiti – all in the context of the Old Prisons, a site that also has original Knight’s and British period graffiti inscribed on its walls. Admission included in entrance fee to the Old Prisons. A revival of a supper traditionally celebrated by the whole community on l-Ghid tal-Erwieh. The supper will consist of Kawlata (vegetable soup with pork) Majjal il-Forn (roast pork),and Għadam tal-Mejtin (bone shaped almond based sweet). This will be followed by a specialised tour of The Roman Inquisition in Malta exhibition with insights into the Inquisition and cases of supernatural invocations and apparitions. Immerse yourself in the world of the Inquisition by opting for the sleep-over on this same night in the actual 17th century prisons and other suggestive spaces within the Palace. For further information please contact HM via email on josette.ellul@gov.mt or call the Inquisitor’s Palace on 21827006. Exhibition of design submissions for the new Museum of Art (MUZA). Also on exhibit is the latest acquisition by Heritage Malta, Antonio Sciortino’s ‘Speed’. Explore the work of one of Malta’s foremost sculptors, Antonio Sciortino (1879-1947), with this selection of plaster casts, complementing the exhibition of the bronze sculpture ‘Speed’ currently on display at Auberge d’Italie. Departure from Fort St Elmo (near Mediterranean Conference Centre). Discover the Great Siege on this tour that includes the Palace State Rooms and Armoury, as well as the chambers and chapel; followed by the newly-restored Fort St Elmo and a boat cruise around Isla Creeks. 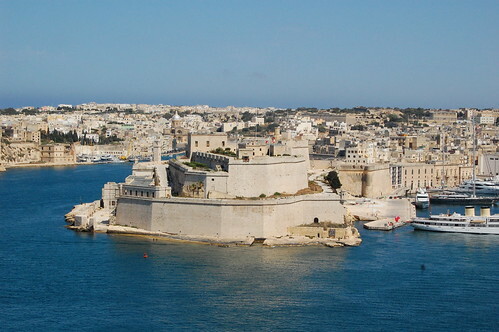 Heritage Malta curators will be guiding the group on site, focusing on the Great Siege of 1565. Disembarkation point is close to the Valletta fish market. Tickets: €20 for adults, €18 for seniors and students and €15 for children and HM Members. Tickets available from the HM sites and museums and online. For further information contact 23954 242 or click here. 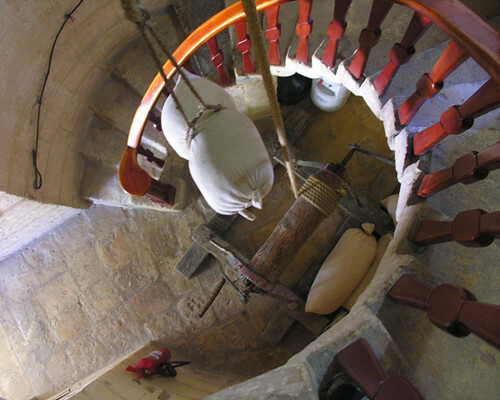 Visit both the Malta Maritime Museum and the Inquisitor’s Palace at the combined ticket price of €2. HM Members Free. The Inquisitor’s Palace has opened a new floor and trajectory that will take you through the corridors of Inquisitorial Malta and introduce you to the accused and their misdemeanors. On the 10th and 11th of October, both museums will open till midnight. Departure from Birgu Waterfront, near Fort St Angelo. A boat trip around the Grand Harbour creeks organized with the Birgu Local Council as part of the Birgufest celebrations. A Heritage Malta curator will highlight locations fortified during the Knights of St John and WWII by the British. Tickets: €16 for adults and €15 for seniors, students, children and Heritage Malta members, and also include free entrance to the Malta Maritime Museum and The Inquisitor’s Palace on the day. An exhibition of Paintings and Prints by Ryan Falzon that touches on themes that lie at the heart of the Maltese Community and public discourse. Supported by the Arts Council Malta. Open Daily between 09.00 and 17.00hrs. The annual conference of SEAC, the European Society for Astronomy in Culture, will be held in Malta this year. The theme is “The Materiality of the Sky”. This conference is being co-hosted by the University of Malta and Heritage Malta. A special conference participation fee of 150 Euros is being offered to a limited number of Maltese participants. Registration at this reduced fee will include attendance to the conference, coffee breaks, one lunch at the venue, cocktail reception, book of abstracts, certificate of participation and conference bag. An evening of Science for all ages throughout Valletta. At the NMA 20 minute talks will be given every hour, exploring the different ways science and technology help us to recover information on past societies and how to preserve cultural heritage. Highlights from the exhibition ‘Malta – The Great Story of a small Island Nation in 100 Objects’ will be used to explain aspects of the evolution of technology. An interactive experiments area will be set up where the public can interact with the equipment present with the aim of gaining a more in depth view of what goes on behind the scenes in museums, conservation labs and archaeological digs. Visit all Heritage Malta sites and museums (except for Hal Saflieni Hypogeum) throughout Malta and Gozo with a single entrance ticket of 5 Euros. On the day, a 10% discount will be offered on Heritage Malta Membership. For a full list of HM Museums and their opening times click here. Experience the Autumn Equinox from Mnajdra Temples. Sunday the 21st September will be the last time the National War Museum will be opening from its current location. 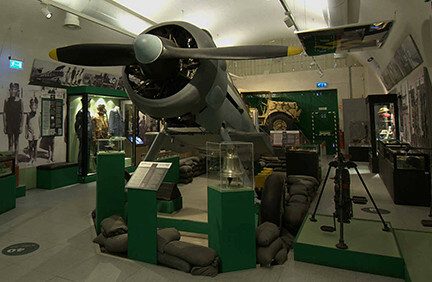 With original footage and memorabilia from the Second World War, as well as artefacts from as far back as 1798, the museum offers a trip of nostalgia for those who have a keen interest in the Second World War especially. The newly restored Fort St Elmo will host the new Military History Museum. Opening soon! An unparalleled three-day international conference on the Roman Inquisition. The speakers are among the foremost scholars on the subject and will discuss the impact of the Council of Trent and the Roman Inquisition on Malta and beyond. Please note that papers will be delivered in English or Italian. Click here to visit the official conference website & view the full programme of events. Registration for the conference is also available online. For further information about the conference please contact the Inquisitor’s Palace on 21663731. At the National Museum of Archaeology, Valletta. Step into the shade and lighten your minds at the National Museum of Archaeology. Entrance is free all day. Also includes entrance to your one-stop for the history of Malta from pre-history to today in the exhibition Malta: The Great Story of a Small Island Nation through 100 Objects. Special offer of 10% discount on Heritage Malta Membership. Opening Hours: between 08.00 and 19.00hrs (last admission at 18.15hrs). Local and International artists are coming together in this first edition of VIVA, a unique platform for contemporary art in Malta. The festival will be at different venues throughout the Capital. Installation in clay by Victor Agius; sound Ggantija II by Dr Mariella Cassar Cordina. A photography exhibition, curated by Fabrizio Mifsud Soler, which highlights imagery reflecting male power structures, dominance, violence, homoeroticism and the masculine form. Exhibitors include Andy Houghton, Matthew Attard Navarro, Ritty Tacsum, Joey Leo, Julian Vassallo, Thobias Malmberg and Joseph Wolfgang Ohlert. At Heritage Malta Melita Street between 09.00 and 13.00hrs. A day’s event about traditional crafts, with a special focus on weaving. Alda Bugeja will give practical demonstrations on weaving with examples of her work. The public is invited to take part and bring along objects which shed light on the past and to share their stories. Donations, including old photos, will be greatly appreciated. Time: from 10.00hrs till 16.00hrs. Take the opportunity to visit the UNESCO World Heritage Site, Ggantija Temples and its newly built Visitor Centre for just €2. The Visitor Centre exhibits include pre-historic figurines and other artefacts discovered in the area. Ticket also gives you entry to Ta’ Kola Windmill, five minutes walk away. Both sites are in Xaghra, Gozo. 10% discount will be offered on HM Membership from these sites. Visit the Palace State Rooms in Armoury, in Valletta, for the combined admission price of €2. At the National Museum of Archaeology from 10.00 till 12.00hrs. 5,000 years from now, an archaeologist uncovers your remains…What would you like to be found buried with you? Bring this item or a picture of it with you. Children will get the opportunity to become future archaeologists and historians to decipher the objects they have brought with them. The activity will be led by an archaeologist and a historian who are both Heritage Malta Curators and will culminate with the children putting up an exhibition using the objects they have brought with them. The activity will include a tour of the 100 Objects Exhibition. This activity is recommended for children aged 6+. Free. For HM Members only. A 10% discount on Memberships will be offered during this event. Enjoy a boat-trip with our curator-guides who will highlight the history, natural aspects and geology of the south of Malta seen from the sea. Departing from Sliema ferries, the tour will proceed round the south side of the island, past fishing villages, geological features, fortifications and archaeological sites. The boat will sail around the isle of Filfla, a nature reserve. Light refreshments will be served on board. Please note that stops on Filfla are not permissible, however, there will be time for a swim within one of Malta’s scenic inlets. Tickets: Adults €25, Seniors/Students/Students €22, Children €20. HM Members: €20. Limited tickets available. Time: from 15:00 till 19:00hrs. For further details please call Heritage Malta on 2395 4242. Please note that the Gozo Nature Museum is closed until further notice. Opening hours 09.00 – 17.00hrs (last entry at 16.15hrs). The second in a series of 4 temporary exhibitions in conjunction with the 100 Objects Exhibition. It celebrates the 10th anniversary of Malta’s accession into the European Union, 1 May 2004. Admission included in the museum’s standard admission fee. A talk and nature walk at dusk, organized by the Majjistral Nature and History Park in conjunction with Heritage Malta’s National Museum of Natural History. During the event participants will be on the lookout for bats, shrews, rodents, insects and other species along the nature paths of the park. This event is free but donations are welcome. To book please send an email on walks@majjistral,org. Meeting place: Il-Majjistral Nature and History Park Visitor Centre. An opportunity to visit the archaeological excavations being conducted on the remains of a Roman Villa. The Directors of the excavation, Dr Nicholas Vella and Prof. Anthony Bonanno will describe the significance of the site, and how it is being conserved and managed. A publication about the site will be available for purchase at a discounted price. 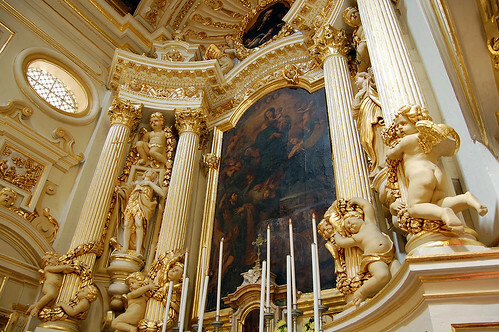 We will also visit San Girgor Church and the Parish Church Museum with Arch. Ruben Abela, one of the founders of the local Heritage NGO Wirt Iz-Zejtun. There will be a short stop where participants will be free to go for a drink or talk further with our guides. From 09.00 till 12.00hrs (meeting place in front of St Catherine’s Parish Church at 08.45hrs). Tickets: Adults: €5; Under 12 – Free; HM Members €3; under 12 – Free. Booking from all HM sites and museums. Tickets: Adults €25, Seniors/Students/Students €22. HM Members: €20. Time: from 09:00 till 15:00hrs. Concerts by the renown Choir of Clare College, Cambridge, under the Direction of Graham Ross. With the support of Heritage Malta. The trail will include a visit of the two main archaeological sites of Ħaġar Qim and Mnajdra Temples, as well as informative visits to the Misqa Tanks, the Congreve Memorial and the nearby Ħamrija Tower. Curators and experts within the field will be available on site to discuss the archaeological remains and highlight the natural features surrounding the temples. At the end of the tour refreshments will be served at the Ħaġar Qim & Mnajdra Visitors Centre. Tickets: Adults €15 / Children €10. HM members: Adults €12 / Children €8. Tickets are limited and can be bought from any Heritage Malta museum/site prior to the event. Participants are to meet with a Heritage Malta representative at the Ħaġar Qim car parking area at 18:00hrs. 7,000 years of history in one hour, this hilarious family show offers a madcap, yet incredibly accurate, crash course in the history of our Islands. The show will be followed by an animated tour of the exhibition ‘Malta – The Great Story of a small Island-Nation through 100 Objects’ by the actors themselves. Tickets: Adults €12 / Children €4. HM Members: Adults €8 / Children €4. Tickets are limited and can be bought from any Heritage Malta museum/site prior to the event. Recommended audience age: 6 years and upwards. Show will begin at 20.00hrs. On the occasion of the public holiday and feast of St Peter and St Paul, admission to both St Paul’s Catacombs and Domus Romana will be at the discounted price of €2. Opening times: 09.00 – 17.00hrs. Experience the Summer Solstice from either Mnajdra or Hagar Qim Temples. After the Solstice there will be a tour of the Visitor Centre and refreshments. Tickets can be purchased from all HM sites/museums for the price of €15 per person and €10 for HM members and concessions. A Grand Harbour morning cruise organised by Heritage Malta. Curator of Fort St Angelo will describe the fortifications with a special focus on the history of those built by the Knights of St John and by the British during and after World War II. The tour will commence at 10.00, till 12.00hrs. After the tour, participants will have free admission to the event Qatt Ma Ninsa at the Malta Maritime Museum and can enjoy a light snack on the Terrace. Snack on terrace at 12.30hrs & on presentation of tour ticket. Participants will also receive a complimentary publication on presentation of tour ticket. Tickets available from all HM sites and museums: Adults – €20; Students / Seniors – €18; Children / HM Members – €15. For further information contact 23954 242. 10 Objects … Unlimited Memories. You are invited to reminisce and share your memories with a team of Memory Collectors during this year’s Life at Sea. Re-enactments and activities synonymous with the Museums’ Life at Sea, will also take place, with re-enactments including 17th century sword fighting and musket firing; and life at Sea aboard the ships of the Royal Navy. Entrance fee €2 and also includes entrance to the Inquisitor’s Palace. Click here and try your luck for a free ticket as from 5th June. 10% discount on new memberships and on renewals. At the Hagar Qim and Mnajdra Archaeological Park. Another Turu activity, this time the children will be given a tour of the Visitor Centre and the Temples with a highlight on the types of crops excavated from the site. This will follow by a hands-on activity where children prepare their own flatbread using some of the ingredients discussed during the tour and which we still use today. Ages: 6 to 13 years. Limited Places available. This event is free. To book send an email on apprezza.opm@gov.mt or call on 22915210. MUŻA, the new National Museum of Fine Arts at Auberge d’Italie will be the subject of a half-day seminar from 09.00 – 13.00hrs. The seminar will present the MUŻA project and its vision. It also includes four workshops inviting participants to actively discuss select topics and themes. Participants are expected to register for these workshops by sending an email on alexander.debono@gov.mt or by calling Heritage Malta’s National Museum of Fine Arts on 21225769. On display the work of 11 Art students from the St. Thomas More College Girls Secondary School. Hosted by the Malta Maritime Museum, Birgu. Open daily from 09.00 till 17.00hrs (last admission at 16.30hrs). On the occasion of World Environment Day, Għar Dalam entrance ticket will be at the discounted rate of €2. Visit the National War Museum in Valletta during the Sette Giugno public holiday. The museum entrance ticket will be at the discounted rate of €2. Opening hours from 09.00hrs till 17.00hrs. Last entry 16.30hrs. Join one of the museums’ curators, Vanessa Ciantar, and exhibition manager, Pierre Bonello, for a behind the scenes tour of this unmissable exhibition which starts from Malta’s geological formation, then takes us in the footsteps of the first inhabitants of the Maltese Islands through to the modern day. For Heritage Malta Members only. Limited places available. Participation free of charge. Tour starts at 18.30hrs. Heritage Malta has the pleasure to host the talk ‘1954-2014 Sixty years of Archaeology in Malta – The Personal Experiences of Dr David H. Trump’. Dr Trump’s career has spanned 60 years of excavating in Malta, including the sites of Ġgantija, Skorba and the Xagħra Circle, as well as holding the post of Curator of Archaeology at the National Museum of Malta from 1958-1963. The talk shall take place on Wednesday the 4th June at 18.30hrs. Hosted by the National Museum of Archaeology, Valletta. Seating on a first come first serve basis. A Grand Harbour Sunset Cruise organised by Heritage Malta. Departure from Birgu Waterfront (opposite Fort St Angelo) at 18.00hrs, till 21.30hrs. Heritage Malta curator of Fort St Angelo will describe the fortifications with a special focus on the history of those built by the Knights of St John and by the British during and after World War II. After the tour, relax with a glass of wine in the company of acclaimed local singer and musician Triccas on the terrace of the Malta Maritime Museum. Tickets: Adults €20; Seniors/Students €18; Children under 12 & Heritage Malta Members €15. For further information click here or call HM on 2395 4242. Booking from all HM sites and museums. A joint collaboration with St. James Cavalier Centre for Creativity. The exhibition concerns the development of contemporary art in Malta and documents the role the group Start had in expression this idiom. This exhibition is held at St James Cavalier Centre for Creativity (Lower Galleries) from the 5th up till 25th May, 2014. Heritage Malta Members are invited to tour St Paul’s Catacombs with a Heritage Malta guide. Heritage Malta Members can bring guests to this tour. Tour in Maltese: 10.00hrs / Tour in English: 11.30hrs Heritage Malta Members Free. Guests (non-members): normal entrance ticket. Booking at all HM sites and museums. Limited Places. For further information please contact tel. 2395 4310. At the National Museum of Natural History Games and crafts to discover Animal Families. For ages between 6 & 10 years. This is an event organised by Turu. Entry is free of charge. By booking only. For booking please contact apprezza.opm@gov.mt. Domus Romana and National Museum of Natural History During Medieval Mdina, take the opportunity to visit both museums at a reduced price of €2. 20 Heritage Malta museums and sites (except for the Hypogeum, Ta’ Hagrat & Skorba) will be open for free on the 1st of May, Worker’s Day. Click on the following link for more details about this event: http://heritagemalta.org/heritage-malta-to-open-its-museums-and-sites-for-free-on-the-1st-of-may/ Opening times are all till 17.00hrs except for the National Museum of Archaeology (19.00hrs) and Hagar Qim and Mnajdra Archaeological Park (19.15hrs). Last entry is 45 minutes before closing time. Heritage Malta membership will be offered at a 10% discount from all HM sites and museums open for free on 1st May. The Mediterranean, an expanse of water that links cultures and land as much as it separates peoples, is displayed to the visitor through 30 panels and in 2 different animations within the context of ships and shipping. As part of the 100 objects exhibition, this temporary exhibition commemorates the 35th anniversary of Freedom Day, 31 March 1979. At Ghar Dalam, B’Bugia. Excavate on a miniature archaeological site and create your own archaeological report. Organized by Turu. Recommended Age: 11-13 years. This event is free. For booking please contact: apprezza.opm@gov.mt or tel. 22915210. Keep the Maltese tradition alive by participating in this event which will see you making your own figolla! Price €5 per ticket, HM Members’ at €4.50. Culture Card is accepted. Enquiries and booking at education@heritagemalta.org. Learn the key techniques of archaeological illustration. Produce your own archaeological drawing of a ceramic shard, following the guided worksheet, as is done in standard archaeological documentation practices. Price is at €5 per ticket, HM Members’ at €4.50 and Culture Card is accepted. The Inquisitor’s Palace: on the occasion of Maundy Thursday the Inquisitor’s Palace will be open until 24.00hrs (last entry at 23.30hrs). Price all day: €2. Heritage Malta Members free. For further information please contact 21663731. Malta Maritime Museum: admission fee to this museum will also be that of €2 all day. The museum will be open till 17.00 (last entry 16.30). Heritage Malta will be opening the Ta’ Ħaġrat Temples in Mġarr at a reduced price of EUR 2 during the annual Festa Frawli which will be held on Sunday 6th April. The site will be open between 9:00am – 4:30pm and tours will be given every hour starting at 10:30am with the last tour at 3:30pm. Tours will be given in Maltese and English alternatively with the first tour being given in Maltese. Play with Clay – come learn and have fun! Activity includes a tour of the Ggantija Temples and Interpretation Centre, followed by a creative session of pottery making emulating the handicrafts of our ancestors. Ages between 6 & 11 years. A tour for all the senses. First stop is Ta’ Mena Estate, a working farm, followed by food tasting. Then to Xaghra Circle (generally closed to the public), a prehistoric underground burial complex. The tour will give us an insight into the funerary practices of our Neolithic ancestors and explain the archaeological significance of this unique site. This will be followed by a curator-led tour of Ggantija Temples and the newly inaugurated Interpretation Centre. Price: HM Members €20; Non-Members €25; Children 6-12 years €10; under 6 Free. Price does not include ferry from Malta. Time: Coach departs Mgarr Harbour at 13.15hrs and returns to Mgarr Harbour at 19.00hrs. Booking at all HM sites and museums. For more information please contact 23954 242 or 23954 310. Scattered around Malta, graffiti are found on megalithic stones, medieval prisons, and on modern buildings such as wayside chapels, parish churches, public buildings and private homes. The exhibition is based on the pioneering research work by the Museums Department former employee Joseph Muscat and his recent donation of various casts of ship graffiti to the museum. A number of salvaged original graffiti will also be displayed, including a large ship. graffito and legend dating to 1766 salvaged from a demolished residence in Zurrieq. Admission to the exhibition is FREE of charge! At the Malta Maritime Museum. Opening hours 09.00 – 17.00hrs. A combo ticket gives you admission to the Inquisitor’s Palace, the Malta Maritime Museum and the In Guardia Parade. The re-enactment, organized by the Malta Tourism Authority, portrays the inspection of the fort and its garrison by the Grand Bailiff of the Order in charge of military affairs as would have taken place under the Order of St John. The show begins at 11.00hrs and lasts 40 minutes. It is held at St. John’s Cavalier in Birgu. Tickets: €10 (Adults); €5 (Children). Tickets can be purchased from all HM sites/museums for the price of €15 per person and €10 for HM members and will include a tour of Mnajdra Temples and access to the Visitor Centre. 22-23 March – FULLY BOOKED! Interested individuals who would like to participate on an authentic archaeological excavation may join the archaeological team during this weekend. Pre-booking is essential. Minimum of 4 and up to 8 volunteers per day will be accepted. Children must be over age 12 and anyone under the age of 16 must be accompanied by an adult. 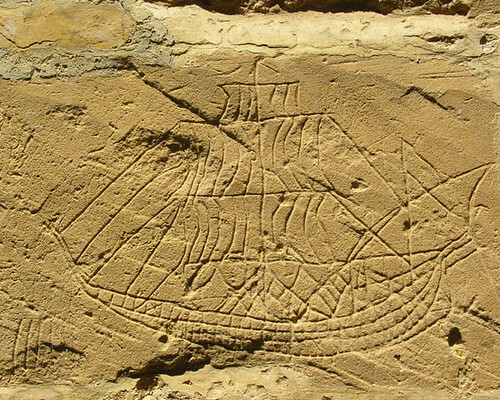 A public lecture by Maritime Archaeologist Dr Timmy Gambin (University of Malta) about Malta ship graffiti. The lecture will be held in the midst of the Graffiti Exhibition at the Malta Maritime Museum. Time 19:00hrs. Admission: Free. A public lecture organised by Heritage Malta, in collaboration with St James Cavalier Centre for Creativity, by furniture historian, Sarah Medlam, former Deputy Keeper at the Victoria and Albert Museum of London. The lecture will be held in the Music Room, St James Cavalier Centre for Creativity, Valletta, at 18.30hrs. On the 3rd of March, Heritage Malta is giving you the opportunity to experience il-Qarċilla … a poetic farce in Maltese which up to a hundred years ago formed part of the Carnival celebrations held in Valletta and also in a number of local villages. The programme will include a short talk by OLVIN VELLA about the tradition linked to il-Qarċilla, a talk by TREVOR ZAHRA about its revival, a performance and a reception. The event will be held at the Inquisitor’s Palace – National Museum of Ethnography, Malta at 8pm. A carnival activity for children aged 6-10 years. Organized by Turu. At the National Museum of Natural History. This event is Free of charge. Time: 10:00-12:00hrs. Tour the Domvs Romana with a Heritage Malta Guide. This tour is free for Heritage Malta Members. The cost of the entry ticket for non-Heritage Malta members is adults €6; seniors/ students €4.50; children €3 (6 – 12 years). Places are limited. You can book at any Heritage Malta site or museum. Anybody taking or renewing a Heritage Malta membership at the Domvs Romana on the day will benefit from a 10% discount on membership. Researchers around the globe are now taking note of unusual sound behaviour in the world’s sacred places and earliest buildings, including Malta’s megalithic temples. They progressively moved from wondering if ancient people tried to control sound to wondering why they did so. Organized by OTSF and co-hosted by Heritage Malta, the intent of this conference is to explore the importance of sound in the ancient world. The Society for Scale Modellers presents the 33rd annual Scale Model Exhibition. There will be a special feature commemorating the 100th anniversary of the beginning of World War I. At the Malta Maritime Museum, Birgu. Open from 09.00 till 17.00hrs.